David Cox was born in 29 April 1783 in Deritend near Birmingham. Around 1800 he became a scenery painter at the New Theatre in Birmingham. In 1804 he moved to London in hopes of obtaining a job as a scenery painter as Astleys Theatre in Vauxhall though it seems he never took up the post. He then decided to try his hand as a Watercolour Painter and began to exhibit landscapes at the Royal Academy of Arts from 1805 onwards. He married Mary Ragg, the daughter of his 1st London landlady in 1808 and they moved into a rented cottage on the edge of Dulwich Common. In 1809 their son David Cox, Jnr was born. He found it difficult to make a living as a Painter and for most of his life had to give private drawing/watercolour lessons . In 1813 he worked at the Military Staff College in Farnham as a Drawing Master and then in 1814 took a job at Miss Croucher’s School for Young Ladies Hereford where he remained for 13 years. 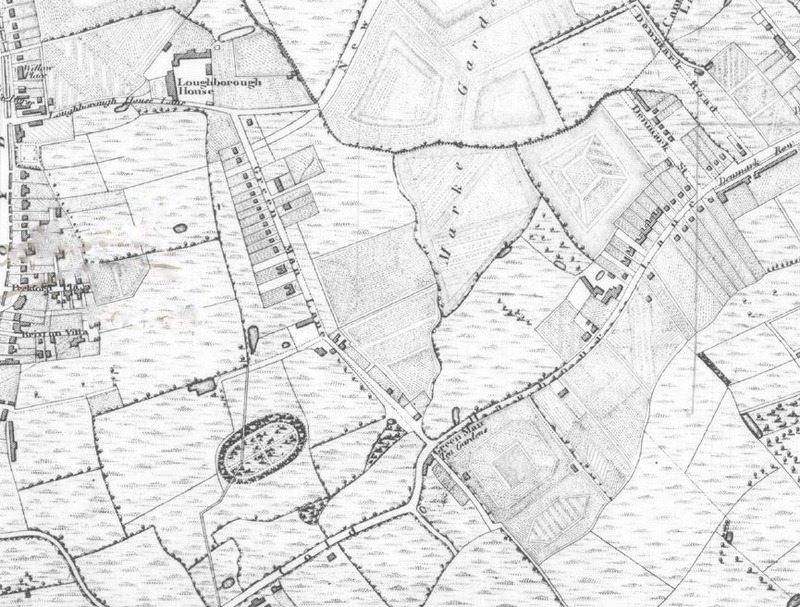 In 1827 he returned to London residing at 9 Foxley Cottages later renamed as 34 Foxley Road. 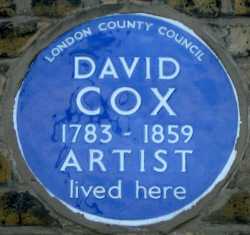 He is remembered with a London County Council blue plaque, which is still there. Thanks to Stone for that info. Green Man Lane in Brixton was probably painted during this second return to London. Foxley Road is about a mile distant north from Green Man Lane. 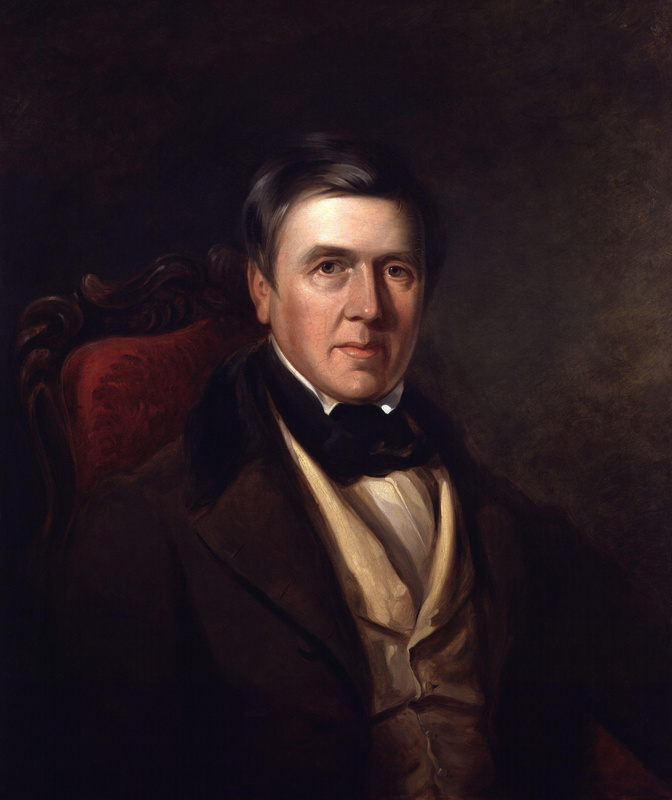 This portrait of David Cox was painted by William Radclyffe, oil on canvas, 1830. Part of the National Portrait Gallery Collection. In the 1840’s he was able to live off earnings from his watercolours and he moved his family back to live in Greenfield House in Harborne, a village on the outskirts of Birmingham. He died in 1859. David Cox was a prolific artist with many drawings & paintings of London views, however I have not found any others specifically of the Coldharbour Lane / Loughborough Junction area except for a drawing titled Cold Harbour Lane which was among a collection of drawings sold in 1844 to a dealer in Birmingham called Mr Everitt. Unfortunately I haven’t managed to track it down. 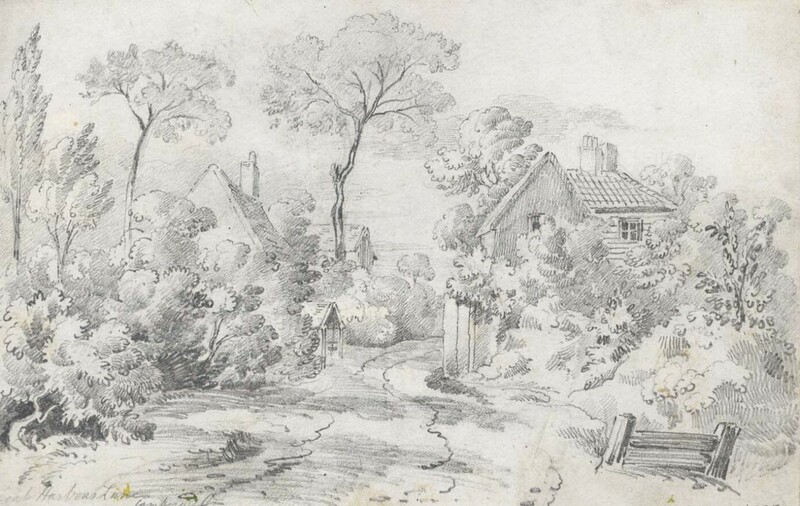 However, still posted on the website of Sulis Fine Art, though marked as sold is this drawing titled Coal Harbour Lane which they describe as an early 19th Century Graphite drawing. They do not include an artist’s name so I guess was sold as unknown. Source material included David Cox by Trenchard Cox, British Painters Series, Phoenix House 1947, David Cox, Painter of Nature’s Mood by Cyril GE Bunt, F Lewis Publishers 1949 & Memoir of the Life of David Cox by N.Neal Solly, Chapman & Hall 1873. This entry was posted in Streets & Roads and tagged David Cox, Green Man Lane, Loughborough Junction, Loughborough Road. Bookmark the permalink.